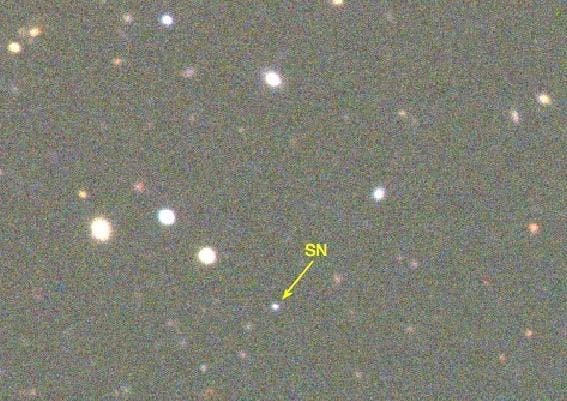 The yellow arrow marks the superluminous supernova DES15E2mlf in this false-color image of the surrounding field. North is up and east is left. This image was observed with the Dark Energy Camera (DECam) gri-band filters mounted on the Blanco 4-meter telescope on Dec. 28, 2015, around the time when the supernova reached its peak luminosity. The image at the top of the page shows ASASSN-15lh, a massive supernova explosion so powerful that if it was in Pluto’s neighborhood it would’ve vaporized not just Earth, but every single planet in our solar system, Scientific American reported. 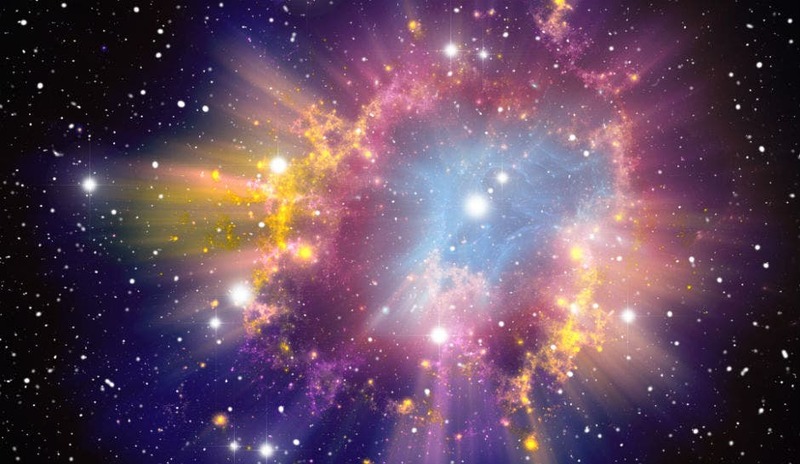 For a short time, it shone 570 billion times brighter than our sun, and 20 times more brilliantly than every single star in the Milky Way combined; and, at the time of explosion, it released 10 times more energy than the Sun will in 10 billion years.